Share videos fast, record video easily. 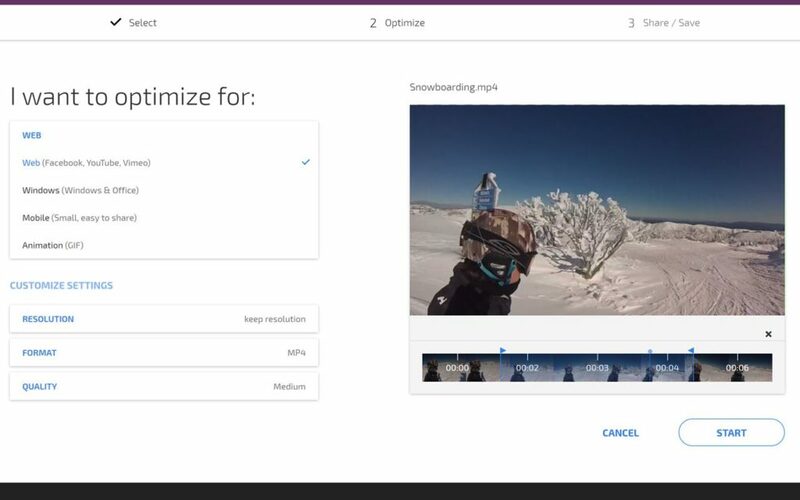 Clipchamp lets users convert, compress and record videos inside the browser without uploading them to any servers. All files get processed directly on the user’s device and can be saved or shared afterwards. The app reduces input videos’ file sizes at no visible quality loss – smaller files upload faster and can be shared more easily. 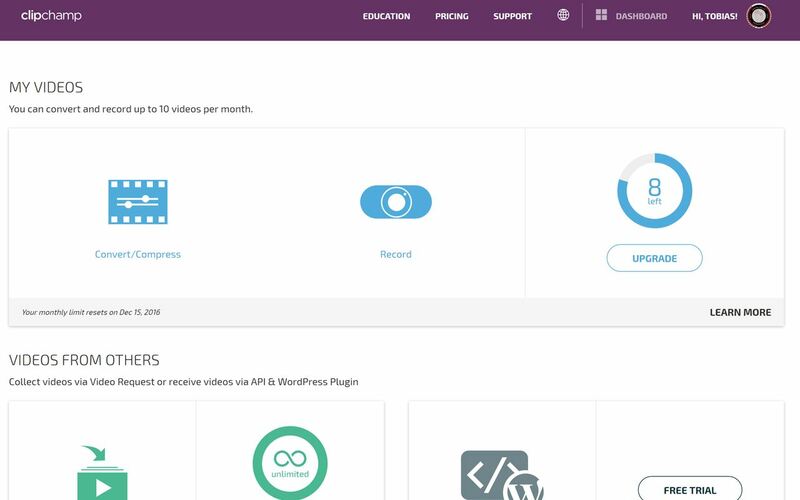 Clipchamp’s API & Video Request products let anyone collect videos on their own website or through a video collection landing page. 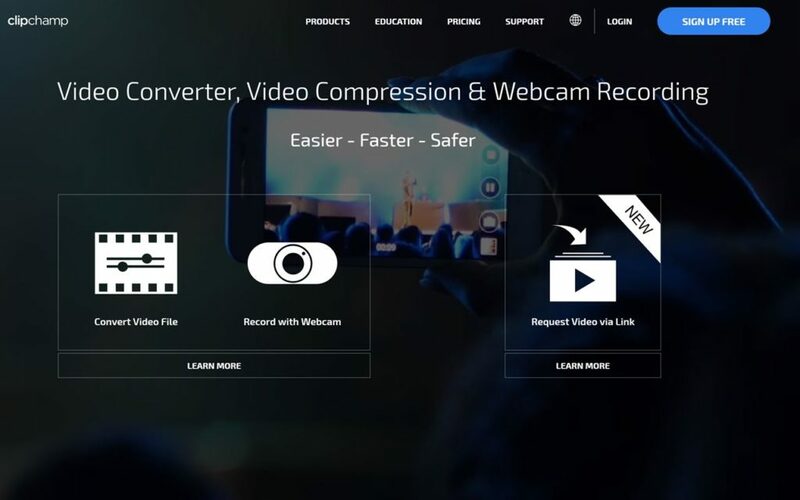 All Clipchamp products come with built-in webcam recording, video compression, video conversion and superfast uploads. The share economy for designer fashion. Cloud-based applications for smarter business.